Have you had an unintentionally "infected" beer? Just pulled a sample from a clone of Russian River's Temptation that I mentioned in my post about Vinnie's bugged wood chips, which I was luck enough to get my hands on. This was a hard clone recipe more for the abundance of information rather than the lack of it. I have read from various reliable sources that Temptation is just pale malt, pils and wheat malt, and pils and unmalted wheat, so either Vinnie has changed the recipe or a some people/books/magazines are wrong. Honestly though I don't think the malt bill is as important as the microbe selection and the oak aging. The beer is reputed to have only Brettanomyces in the secondary, but I thought it was too sour for that and being in Russian River's barrel room with all those other mega-funky brews and being topped off with Sanctification (Brett/Lacto) I figured some lactic acid bacteria made its way in there. Looks like I was right as a recent issue of BYO, after I brewed this, confirmed that Vinnie suggests adding lacto and pedio in place of what makes its way into the beer and the blending he does with Beatification at bottling. The beer is doing well now, but I think there was not enough residual sugar for the microbes to really get rolling. If I were to brew this again I would up the mash temperature to 154 from 151 so the gravity after primary would be closer to 1.015 than the 1.010 that we got. I was lucky to brew it with my friend Seth who worked with wine for the University of Maryland and so had the knowledge to pick the right chardonnay and treat the oak with it. This one won't be bottled for a few months so it will be awhile before I post a full tasting, but already it has a light tartness and a good contribution from the chardonnay and the oak. I will continue to taste this periodically to ensure that the oak does not become overbearing, something that can easily ruin a beer. 1.00 oz. Sterling @ 75 min. 0.50 oz. Styrian Goldings @ 40 min. 0.25 oz. Styrian Goldings @ 20 min. 10/31/07 Made a funky starter. 4 oz DME 8 oz of water and 8 oz of rye mild added at flameout to give alcohol for a bit of protection. Added another 10 oz of water the next day because I thought the gravity was too high. After a few days there was a good fermentation. Took about another 10 days to start seeing bits of pellicle start to form, after that I put an airlock on. Used 5 gallons of filtered DC Tap water, diluted with 4 gallons of distilled to cut the bicarbonate. Added 5 grams of CaCl and 1 of epsom salt. Fly sparged with 180 ish degree water. Collected 7.25 gallons of 1.048 wort. Good strong uncovered boil. Got a bit more than 5 gallons, almost right on the target OG of 1.062. Added about 1/3 of the slurry left over from the hoppy tripel and a cup of the funky starter. Gave it a shake and 45 seconds of pure O2. 11/15/07 Harvested yeast from the Hoppy Tripel, added it to some starter wort with a bit of yeast nutrient and plenty of O2. 11/18/07 Added a blowoff tube, rapid fermentation and krausen nearly at the top. Solid Blowoff for 24 hours, very rapid fermentation at ambient temp in the low 70s. 11/23/07 Seems like fermentation is almost done, krausen is falling. 11/25/07 Down to around 1.010, considerably lower than the expected 1.015. 12/08/07 Racked to secondary (5 g better bottle) with 1 oz of oak that Seth soaked in a change of Chardonnay. The second dose of chardonnay also went in with the oak, probably 1/4 cup. 1/21/07 Down to 1.006, very clear with a light funky note, similar to a realatively fresh Orval. 2/27/08 Down to 1.004, still very clear, the oak and wine are begginng to get more assertive. A low sourness is developing as well but not much more Brett character than a month ago. Despite the low gravity it still has a nice mild sweetness. 5/7/08 Bottled with 4 oz of table sugar. Gravity is still about 1.004, so I don't think there is much chance of overcarbonation. The Brett aroma is getting to where I wanted it to be and the oak adds a good complexity. 5/10/08 Passed off the slurry from this batch to a brewer at Old Dominion, hopefully it will result in something fun by next winter. Per Wild Brews the original is fermented with WL510 @ 72 degrees for 5 days, then cut loose. Then is fined and stored for 3 weeks at 32 before barrel aging. Looking for 1.015 (76% AA) after primary and 1.006 (90% AA) after secondary. Is it beer, or is it wine? "Aged in French oak wine barrels for twelve months with distinct characteristics of fruit and subtle oak" sounds more like a description of wine than beer. But, of course, Temptation is indeed beer. Actually, Temptation is a Blonde Ale Fermented with a special strain of yeast, then aged in French oak chardonnay barrels. Flavors of wine and oak absorb into the brew throughout twelve months of aging. During this aging process, a secondary fermentation occurs using a yeast strain disliked by most brewers and winemakers called Brettanomyces. The "Bret" gives Temptation intriguing characteristics and a pleasant sourness. Temptation is re-fermented in the bottle to create its carbonation--a process commonly used to make fine champagne and sparkling wine. Spent yeast forms a thin layer of sediment to remain in the bottle. Drew Beechum was told by Vinnie that there was no wheat of any kind in this one. Add 1 pint Brett B starter, .5 pint Lacto, and .5 pint Pedio starter. 3 oz French Oak, Medium Toast soaked in Chardonnay added to secondary. The lacto and pedio additon take the place of blending Beatification to Temptation post barrel aging to bring up the acidity per Vinnie. Is there any chance that the sulfites that are added to wine for stability and the prevention of oxidation could impede the sacc. and/or brett performance if you add wine to the secondary as well? I'm thinking of finding an organic "no sulfites added" wine to add a bit of to secondary. You'd diluting the wine so much that the sulfites wouldn't be an issue. I added 1/2 bottle of Bear Boat Pinot Noir to 2.5 gallons of my second Mo Betta Bretta clone and didn't cause any problems with carbonation. That seems like a lot to me, but even that would reduce the sulfites to just 4% of their level in the wine. I'm thinking about doing a clone of Temptation. Do you think dregs from a bottle or two could be effectively re-cultured? I'm deciding whether I would need to pitch extra Brett/Pedio/Lacto. You should be fine, I've had great results with bottle dregs in general. Some fresh Sacch is probably a good idea though since RR uses wine yeast to carbonate most of their beers. Mike, do you use plastic or glass carboys for extended aging of big/sour beers? I tend to use Better Bottles, but that is more due their invulnerability and price compared to glass carboys. I don't worry too much about getting oxygen into the fermenter. Do you think it's possible to achieve a Temptation-like result without using Vinnie's inoculated oak chips? Because I doubt I could get my hands on them now. Even with the RR bugs I didn't get especially close to the original (not enough sourness). You'll certainly be able to make "Temptation-like" pale, funky/sour, wine infused beer, but you won't make Temptation unless you are really lucky (Vinnie does lots of blending to improve his consistency/complexity/balance). For the bugs, a blend like Roeselare would be a good place to start, plus the dregs from a sour beer or two. Pitch all that in primary along with a Belgian ale yeast. I have some questions about your specific recipe here, the recipes you quote, and brewing in general. Thanks in advance for whatever information you can add. 1. Regarding your funky starter, you added 8 oz of rye mild which (as I'm understanding) is a beer you brewed that was accidentally soured and brett'd. That seems like a tough place for me to start. Would you instead recommend starting with Wild Brews or BYO version, i.e. adding sacch, brett, lacto, and pedio from Wyeast / WhiteLabs cultures? 2. Is it correct that you did not add any other bacteria or funkyness than just your rye mild starter? 3. For the BYO version, is it correct that they do not use sacch? Are the brett, lacto, and pedio all pitched at the same time, i.e in the primary vessel? 4. There's a couple week lag between the time you made your starter and brew day (10/31-11/17). Did you control the temperature at all? Is there any need for refrigeration during that period? Is it better for this kind of starter to be warmer or colder? 5. Wild Brews writes "WL510 @ 72 degrees for 5 days, then cut loose". Does that mean that after five days of controlling temperature, the beer is taken off control? So now the beer would be more (possibly completely) susceptible to daily temperature fluctuation? 1/2. I'd suggest reading the post about the starter linked from the first sentence. The beer was added to help prevent spoilage microbes from taking over while I was trying to revive the oak chips that had been soaked in the Russian River house culture. It was added to the hot starter wort, killing any microbes it would have contributed otherwise. I also pitched WY3787 into the main fermentation. Not that that helps you much. I'd suggest pitching the commercial cultures of your choice, if you don't have access to Temptation bottle dregs. 3. No idea what the BYO version says, but Temptation is fermented with ale yeast first, then it gets Brett, and finally the house lactic acid bacteria culture. Was it a recipe for Temptation or Sanctification (which is ale-yeast free)? 4. Yeast/bacteria growth is faster at warmer temperatures, but I don't stress about it. Really no reason to make a starter unless you are doing something similar. 5. This is one issue with trying to mimic the process of a commercial brewery at home. 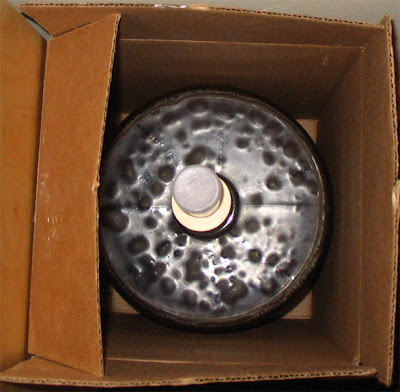 The larger a fermentor is, the more heat it will build-up. The idea would be for the continuing fermentation to heat the temperature above the previous set-point, not induce fluctuations. I'm more interested in experimenting with brewing sour beers than trying to replicate Temptation at this point. But for #3, I was referring to your "From B Y O" section above and specifically the line "Add 1 pint Brett B starter, .5 pint Lacto, and .5 pint Pedio starter." Even though they don't mention ale yeast, I think I will use ale yeast for my beast. I'm thinking I'll brew some simple-ish base ale as I've done with all my previous clean ales, then add Brett and bacteria after the ale yeast attenuative phase. 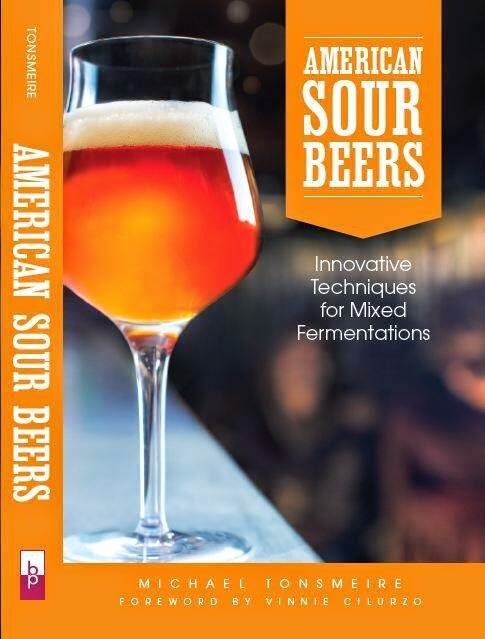 This is all starting to make enough sense to me that I'm going to give brewing a sour a shot. The actual BYO article/recipe also mentions "Wyeast 1214 (Belgian Ale) or White Labs WLP550 (Belgian Ale) yeast." I've never got enough acidity for my tastes waiting for after primary fermentation when aging in a carboy. Works fine in a barrel.